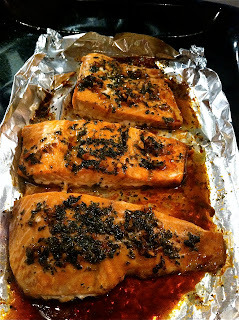 Here is a simple quick and easy that took less than 30 minutes to prepare and cook. As always enjoy! Mix together 2 tablespoons of coconut oil, tamari sauce, lemon juice, 1 minced garlic clove, parsley and salt in small sauce pan. Heat on med/high heat for approx 5 minutes. 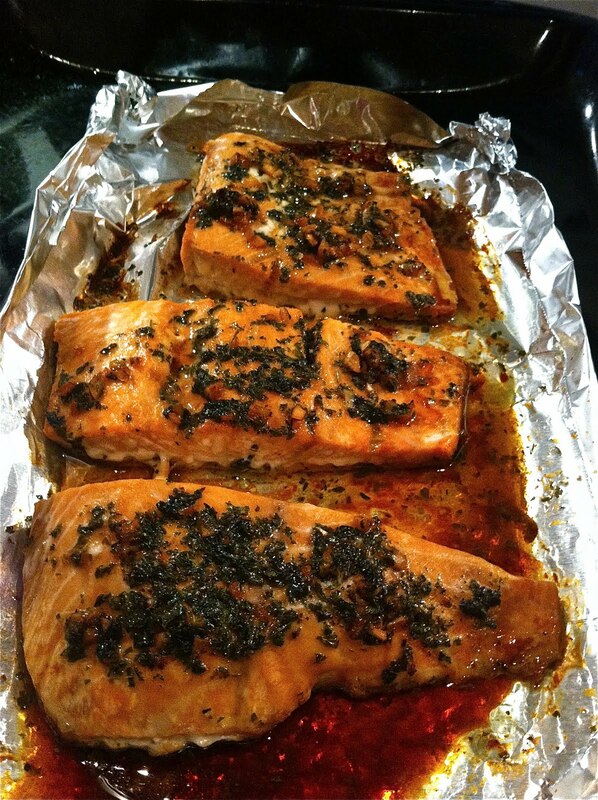 Place Salmon steaks on foil lined pan curling up the edges of the foil to keep sauce in. Meanwhile heat the remaining tablespoon of coconut oil in large saute pan or wok. Add the garlic and saute for a couple of minutes. Add chard and cook until slightly wilted, then add a splash of tamari sauce just before serving.